Crostini | This simple and elegant crostini makes for the perfect appetizer for your next fabulous party. When hosting any party it’s great to have an easy and tasty appetizer up your sleeve. One of my go-to food to serve at a party is a fabulous crostini. 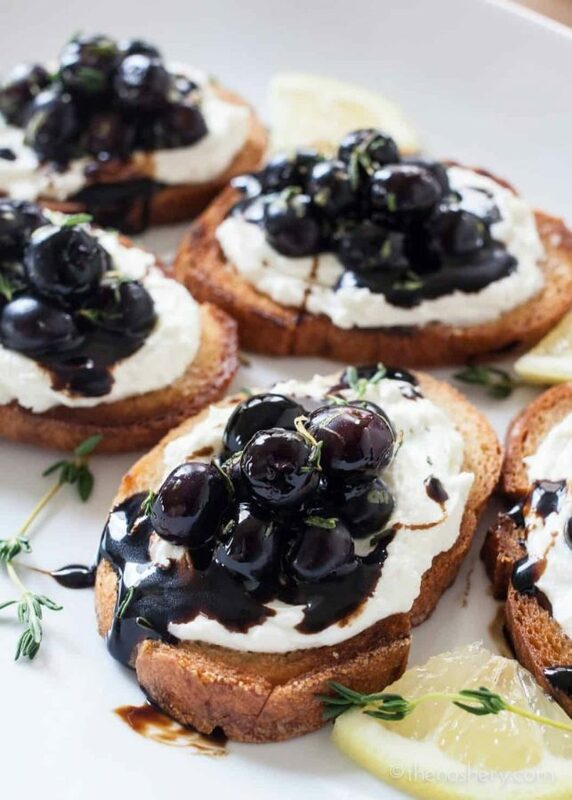 These crostini come together in no time and are a flavor bomb! They are perfect for any party I promise that there will be a hit. Even if you think you’re not a fan of goat cheese you I am confident you will love these! Crostini are the original fancy toast. Toasted or grilled bread topped with whatever your heart desires. Crostini can be the perfect appetizer or even a satisfying meal. 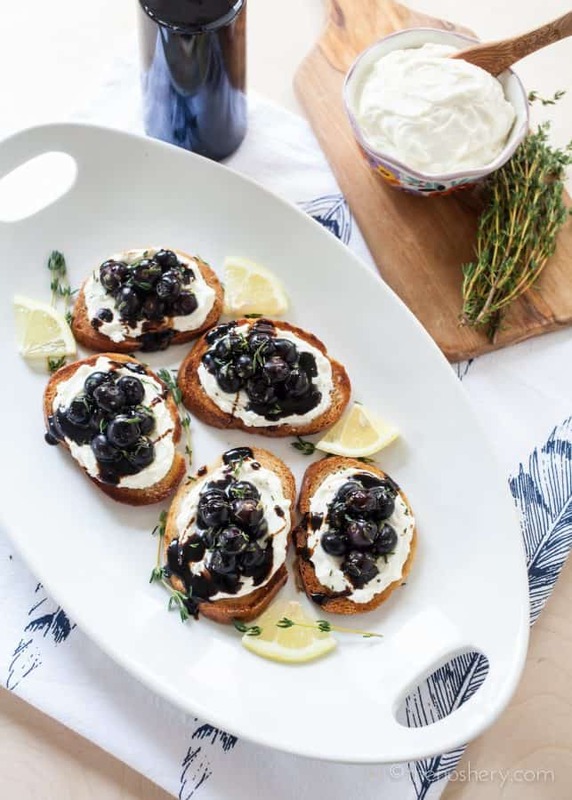 Inspired by the flavors of summer I decided to top these crostini with tangy whipped goat cheese and sweet blueberries. The goat cheese is whipped with heavy whipping cream until smooth and creamy. The whipping cream cuts into goat cheese funk but maintains the tang. 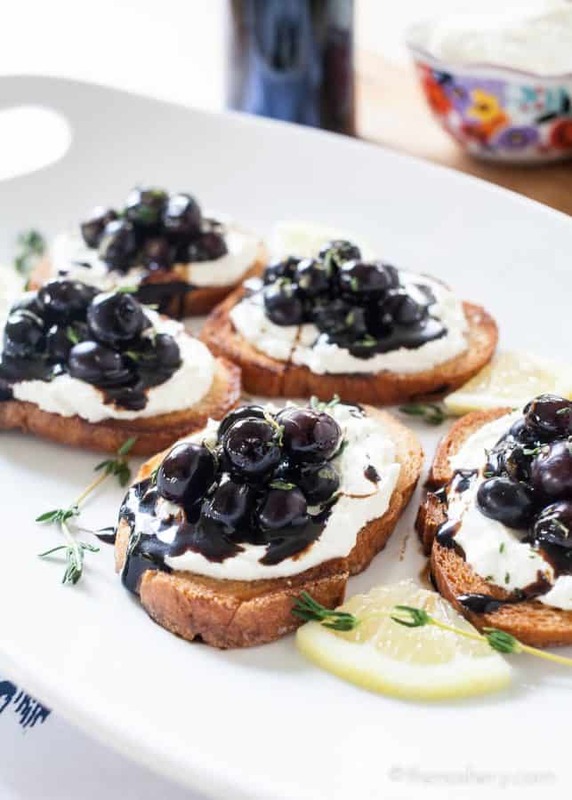 The lovely tang of the whipped goat cheese pairs beautifully with the blueberries and balsamic reduction. Since I am a fanatic about sweet and savory I also lightly rubbed the buttery toast with garlic. I’m telling you! These are the bomb! These are incredibly easy to put together for any party and are sure to impress your guest. Who knows if you come to love them as much as I do you may just make them for yourself. I think strawberries would also be great in place of blueberries. These crostini come together easily and are full of flavor. A perfect combination of tangy, savory and sweet. Your guest are sure to love them! In a bowl combine goat cheese ingredients, using a hand mixer beat until well combined and smooth. Set aside. In a small bowl combine blueberry ingredients except balsamic reduction and toss until blueberries are evenly coated, set aside. Heat a heavy skillet over medium-high heat. Brush bread slices with butter on both sides. Toast bread slices in skillet until golden brown, 2 - 3 minutes each side. Gently rub one side of the crostini with a garlic clove. 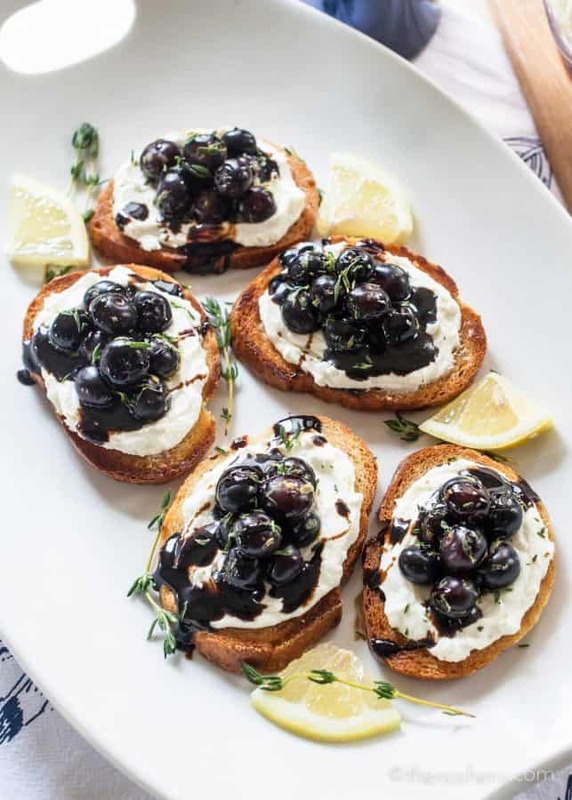 Spread whipped goat cheese on crostini, top with blueberries and drizzle with balsamic reduction. Garnish with fresh thyme. How much balsamic reduction do you use? It’s just a drizzle over the crostinis at the end. You may use somewhere around 1/4 cup. These treats look delicious Meseidy! We shared your recipe on our Pinterest Dessert board and it was a hit! If your ever in the need of some fun culinary apparel feel free to check out! Looks delicious! Can you make this using frozen blueberries? Since the berries aren’t cooked I find that fresh berries are better. Frozen berries sometimes tend to be tough after defrosted. You can use frozen berries but for this recipe fresh is better. Balsamic reduction can be purchased in the supermarket. It’s found with the vinegars. It may also be labeled balsamic glaze. If you can’t find it you can bring a cup of balsamic vinegar to a boil, lower to a simmer and let simmer until it becomes a syrup. Thank you for this as I was going to ask the same question about the balsamic reduction – Novice I am. I am drooling. 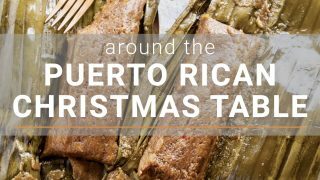 What a gorgeous recipe! Thank you so much for joining in on this baby celebration!! Ummm wow!!! I love me some whipped goat cheese…I seriously have to make these for my Bunko group soon! they would love these!! Thank you thank you for joining in on the surprise for Joanne! These crostini are just gorgeous! Perfect for a Spring brunch or an afternoon cocktail party or a baby shower! 🙂 Pinned!